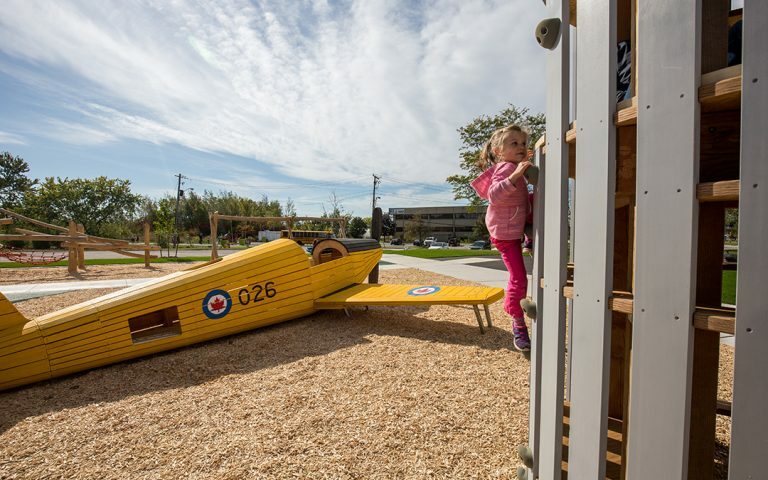 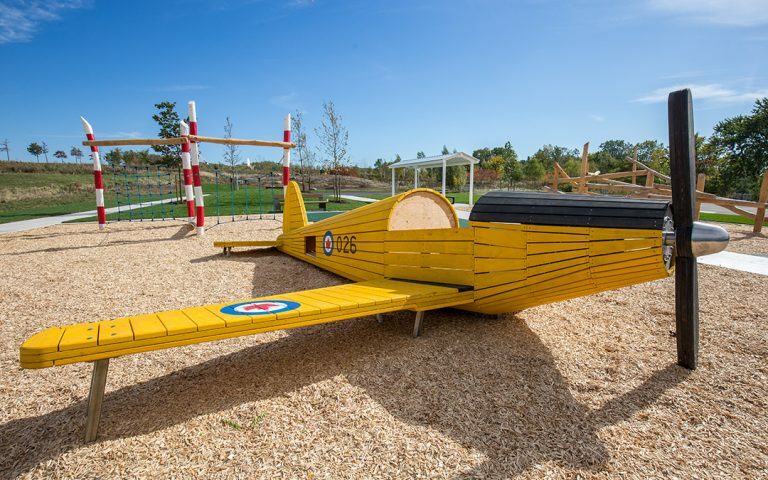 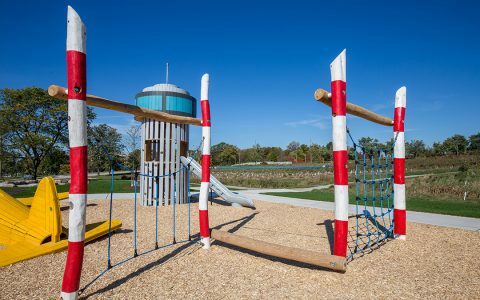 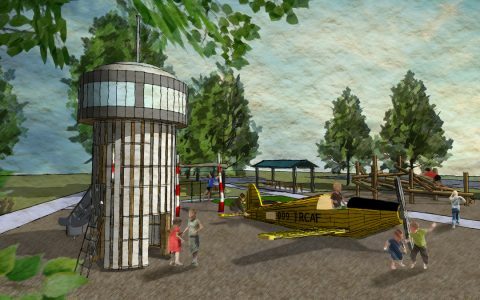 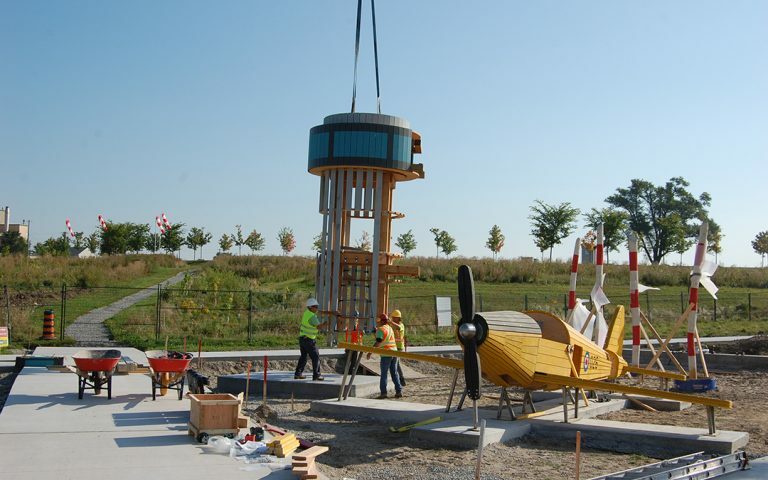 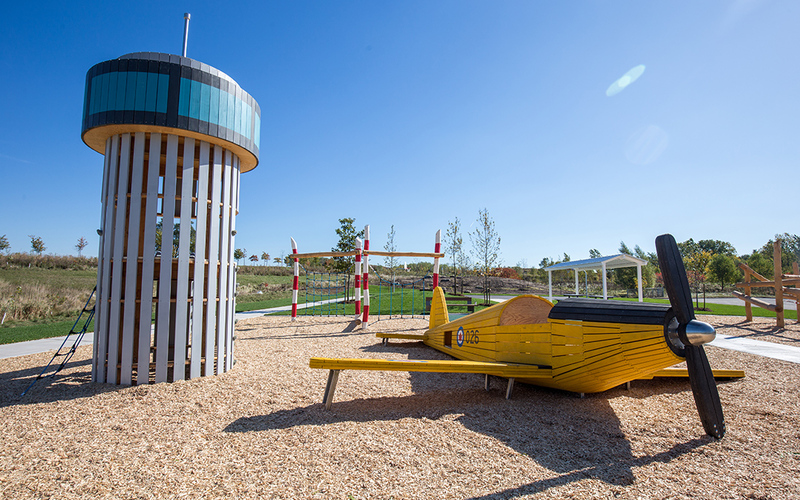 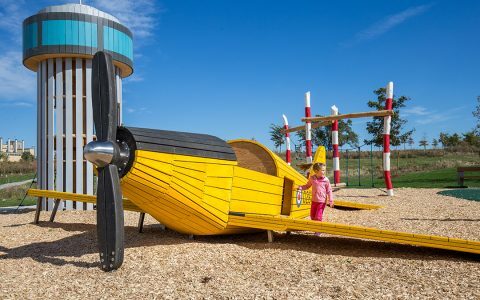 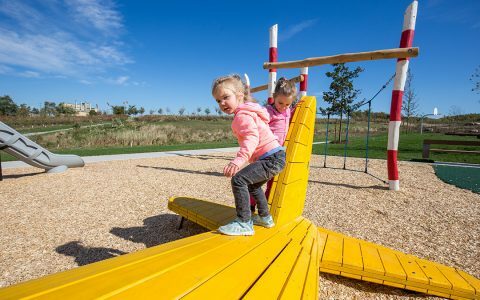 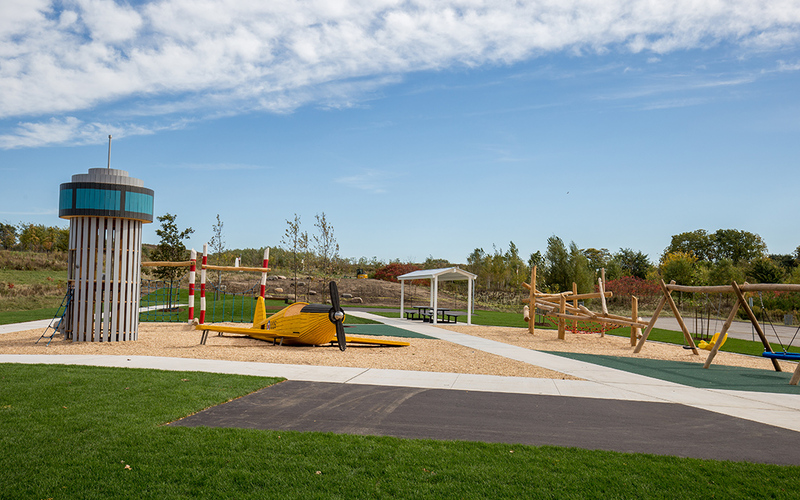 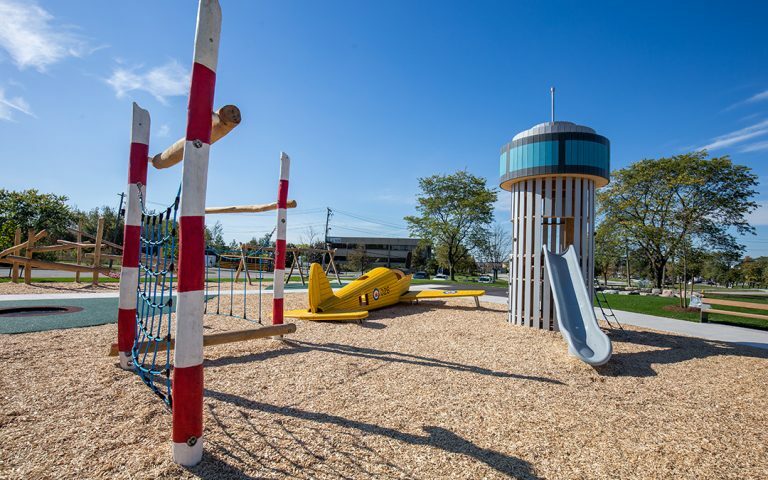 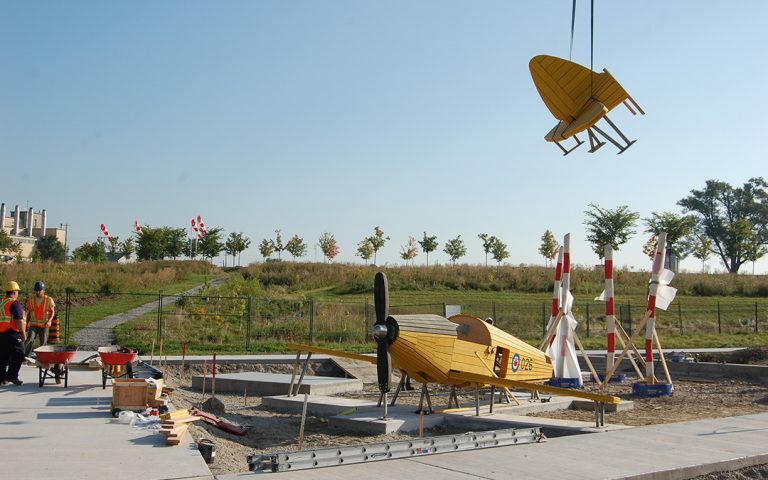 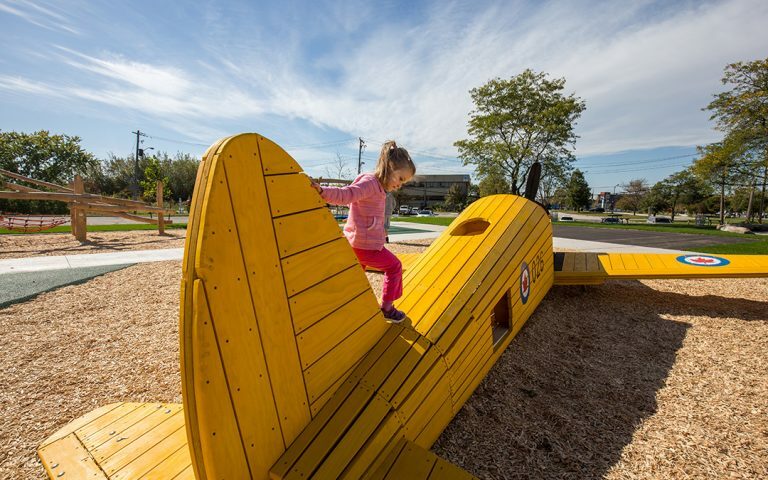 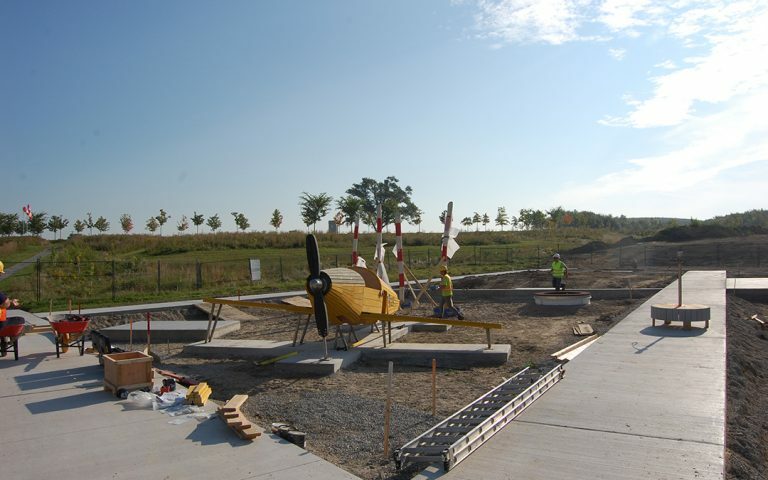 Inspired by the nearby Downsview airport, the playground at Downsview Park is a reflection of the local site history and community. The design is anchored by the climbable airplane sculpture which is based on the de Havilland Chipmunk model aircrafts which were produced on site during the 1940s and 1950s. Children can challenge themselves by climbing up the air traffic control tower; those who make it to the top are rewarded with a 6 foot slide back down to ground level. Post and rope climbers offer challenging and interactive climbing opportunities. 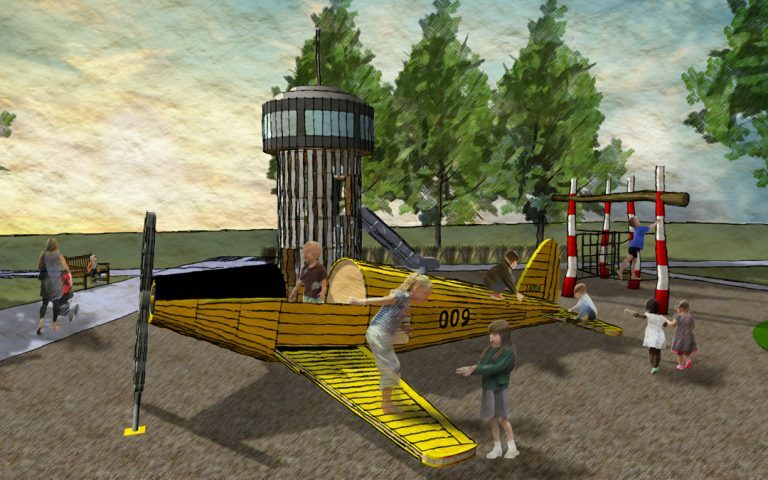 Kids can imagine taking off in an airplane while jumping on the trampoline. 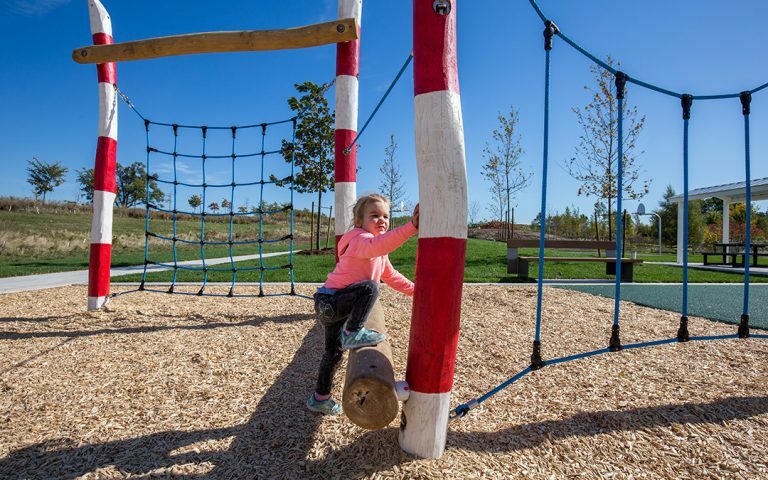 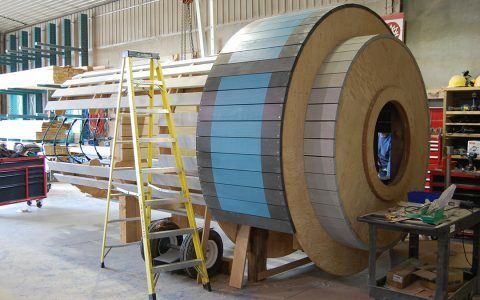 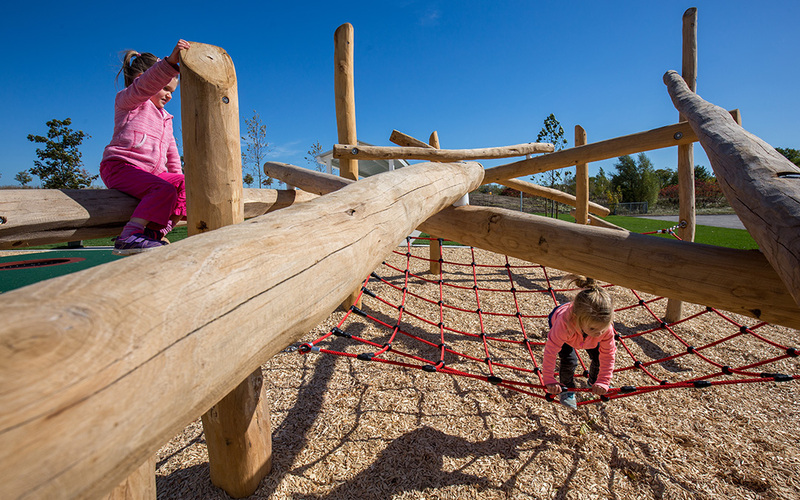 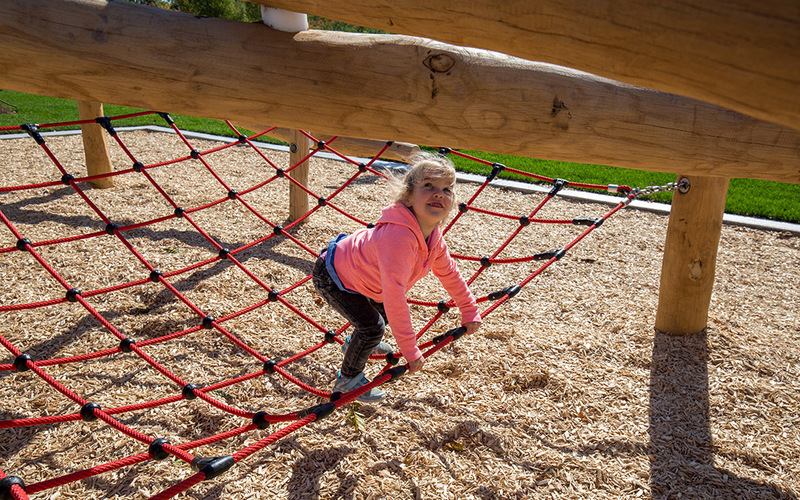 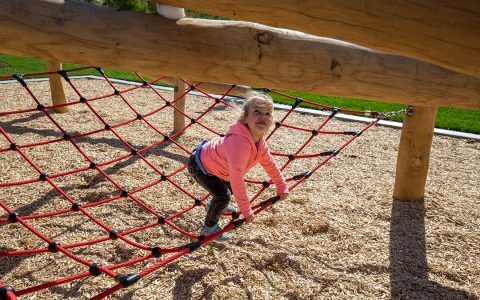 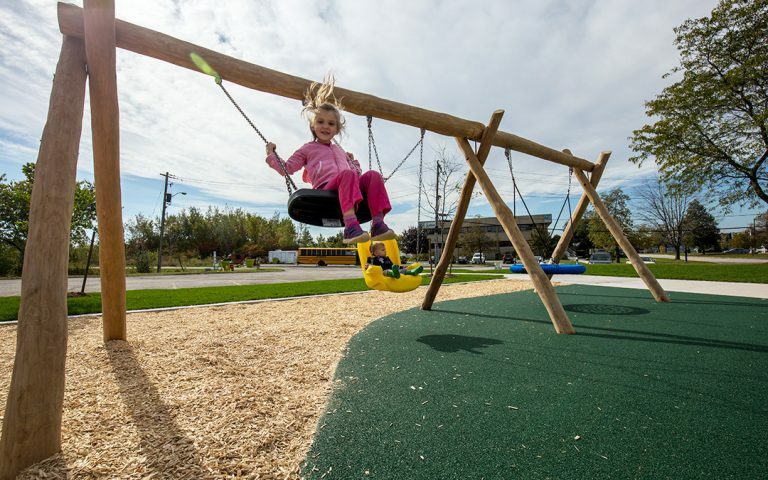 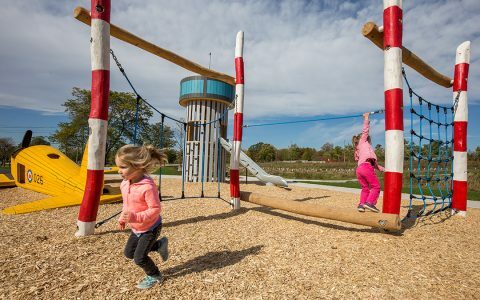 The south side of the playground includes a non-prescriptive timber log jam™ climber that kids can explore in their own way. The nearby swings let children fly through the skies either solo or with a friend on the basket swing. The pathways around the playground are designed to mimic airport runways. 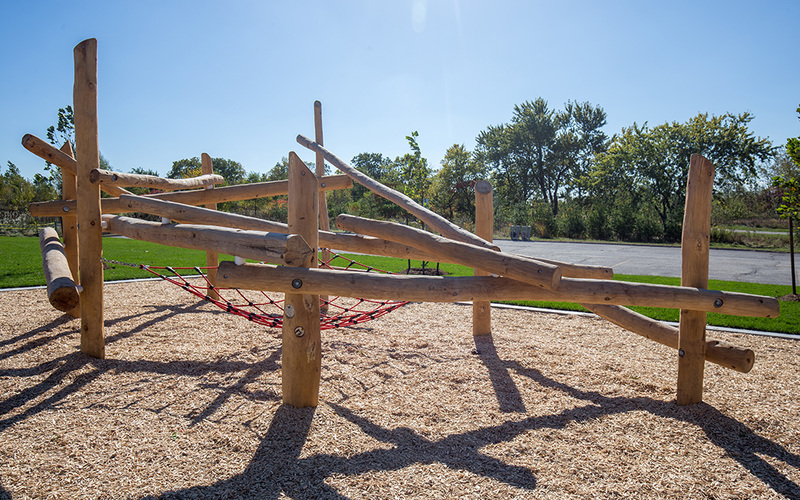 Just outside of the play area, the shade structure and benches beneath the trees offer shade for park visitors.